Japan has been a generous country for smokers for a long time. Even now, smoking free policy is not enforced even at many restaurants unlike other countries. It is said that JT (JAPAN TOBACCO INC.) has made a large contribution to many members of the ruling coalition party and postponed legislation. However, in recent years the smoking rate has fallen to 18-19%. And the problem awareness about passive smoking is rising. In addition, the area where smoking on the street is prohibited is increasing in Japan. In many other countries, indoor smoking is prohibited, but smoking is permitted at outdoors. However, it is the opposite in Japan. Because there was the reason for the above. There is no industry group outdoors, so legislation was possible. By the way, cars with poor maintenance status can not run on public roads in Japan, so the smell of tobacco will stand out even outdoors. And in 2020 the Tokyo Olympic and Paralympic Games will be held. The host country of the Olympic games is required to enforce smoking area limitation from the International Olympic Committee. Therefore, in Tokyo, the ordinances will be implemented before that. And it will spreads to other preferences. By doing so, both outdoor and indoor except for designated areas are expected to be smoke-free. In Japan it will be thorough as regulation begins, Because Japanese tend to do the same. The number of people who are going to quit smoking increases, and the smoking rate may decrease suddenly. 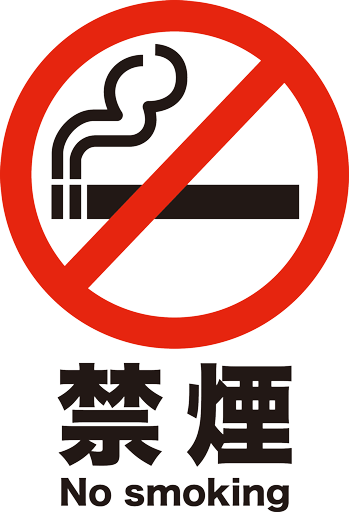 Common non-smoking notation in Japan. I heard that strict smoking cessation is being studied in the Philippines by the President Duterte. Japan is also changing. If you are a smoker and you live in Japan in the future, I recommend that you quit earlier dependency on tobacco. Otherwise, you will have a hard time. By the way, The tobacco is over 200 pesos per box. It is sold only in boxes in Japan. You can not buy it individually.